Coquitlam Search and Rescue (Coquitlam SAR) is a community based volunteer organization providing land and inland water search and rescue services and wilderness public safety education in the Tri-City, British Columbia area, and when requested by other agencies. They are dedicated to providing the highest quality of Search and Rescue services utilizing a team approach. Coquitlam Search and Rescue was formed in 1972 as a result of a search on Burke Mountain by North Shore Rescue and members of the Coquitlam RCMP detachment because there was no local team. Over the years, the team has grown into about 45 active members. The team is called out to roughly 30 to 40 search and/or rescue operations each year, including mutual aid calls to other teams in the Lower Mainland, and other areas in the Province of British Columbia, and in Washington State. In recent years, the team has also assisted the local police forces with evidence searches and urban searches for missing persons, as well as assisting the Tri-City communities with a variety of emergency preparedness tasks. 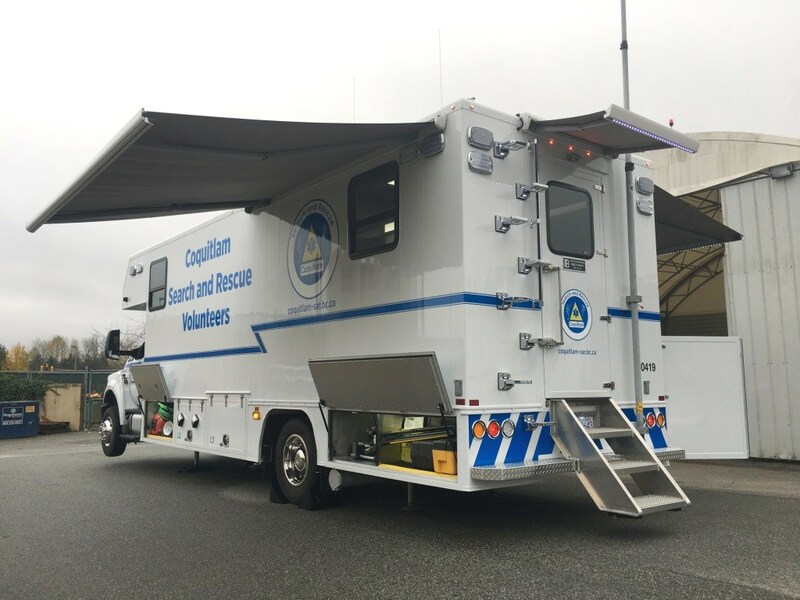 In 2012 Coquitlam SAR realized that their mobile command centre was due for replacement and began fundraising for a new unit. Wesbild was excited to help with funding for this important community safety initiative. The new Mobile Command Centre has a capability to travel on more challenging roads, transport additional field equipment and enhance search and rescue management with new technology and additional floor space for work stations and briefings. It enables Coquitlam SAR to get searches into the field more quickly and enhances the team effectiveness overall. Wesbild has a proud relationship with Coquitlam residents that spans over three decades. Wesbild was pleased to contribute financial support to this important community safety project and to an organization such as Coquitlam SAR who helps keep our communities safe.